Yes, it's here - an experiment in basic income with an online currency - Swift demand coins. It's completely free to register and takes only a couple of minutes. Salaam beautiful peoples, Definitely, Yes, it's here - an experiment in basic income with an online currency - Swift demand coins. It's completely free to register and takes only a couple of minutes. Ideally, basic income should reduce poverty and help decrease the wage gap between the rich and the poor improving the quality of society. Basic Income - Is it happening already? Imagine receiving a cheque (or in this case, alt-coin) from the government every month, just for being alive. 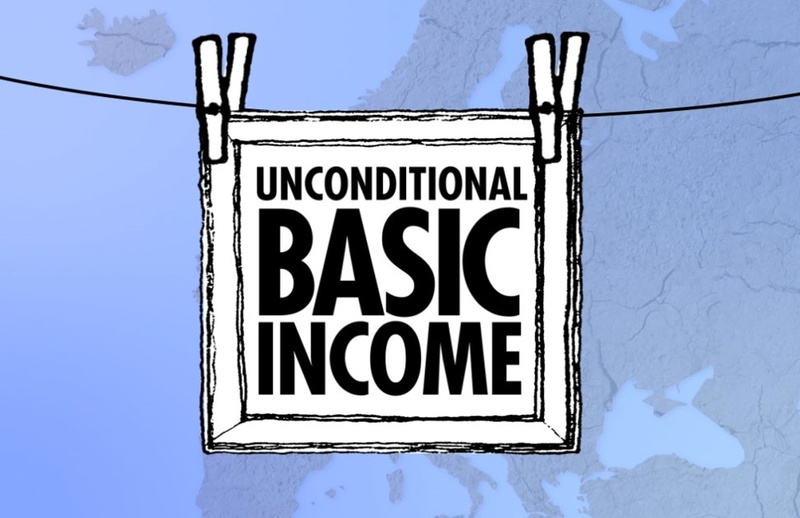 The concept of guaranteed basic income for all citizens has been gaining traction around the world, leading to referendums and national political debate in several countries. On Jan. 1 2017, the Finnish government launched a two-year pilot scheme that will provide 2,000 unemployed citizens with a basic income of 560 euros ($595) per month. The recipients, aged of 25 and 58, were chosen at random and will receive the funds even if they find employment in the next two years. The Finnish government is spending 20 million euros ($21.2 million) on the experiment. If successful, Finland will implement it nationwide at a cost of 15 billion euros ($16 billion) — which is around 1/1.5 billion more than Helsinki currently spends on its welfare state. India’s annual economic survey released last month included a lengthy section proposing a universal basic income of 7,620 rupees a year ($114) for all citizens, through a national roll-out is not expected anytime soon. A previous trial took place in 2010 in the central Indian state of Madhya Pradesh, home to 73 million people. and provided more than 6,000 individuals in eight villages with unconditional cash transfers that ranged from 100 to 300 rupees per month ($1.5 to $4.5). A study showed that the trial resulted in a sharp increase in food sufficiency and a drop in illness in villages that received the funds compared to those that did not. In 2015, citizens and foreign residents in the small northeastern Italian region of Friuli-Venezia Giulia have had the right to financial assistance ranging from 70 to 550 euros ($75 to $555) per month over two years. From a population of 1.2 million, 32,000 applied for assistance, which is only given as long as recipients can prove they are looking for work. The Dutch city of Utrecht began an experiment in basic income at the beginning of this year by providing 250 citizens receiving unemployment assistance with a guaranteed monthly income of 960 euros per month ($1,020). The experiment is part of a project called "Weten Wat Werkt", or "Know What Works," that's aimed at comparing the possibilities of a universal basic income approach with the Dutch welfare system that's currently in place. Three other Dutch cities have also started similar experiments in basic income. So while we are waiting for our country of residence to roll-out Basic Income, we can take matters into our own hands and find another option. 'Swift Demand' is still an experiment, and not guaranteed to succeed (same as the governmental proposals above) but it is another option - to place your eggs in another basket. A basic income experiment in which each user who is signed up for the service receives 100 coins each day. How Else Can I Get Coins? Additional coins can be generated through referrals and confirming information. After 5,000,000 users have been reached (5,000 accounts at present!) these bonuses will be removed and income generation will be the sole source of new coins. Is SwiftDemand Similar To Bitcoin? SwiftDemand is centralized currency focused on the concept of basic income as the primary source of the coins. Bitcoin is decentralized Peer to Peer currency. Both online currencies, but have different goals and ideals. Will Everyone Always Get 100 Coins? 100 coins for the time being, but will increase in accordance to a healthy inflation rate that is in line with the concept of basic income. Why Do I Need To Actively Claim My Coins? Anyone who refers a friend will receive 500 coins in their account. Email Confirmation, Phone Confirmation, etc… also give you bonus coins (Currently set to 100 coins). Are Coins Tied To Real World Currency? No, Coins are not tied to real world currency in any way. Coins are only worth as much as someone else is willing to pay for them. I think basic income will appear in many more countries over time, hopefully, the early experiments will bear fruit and other nations will learn from those leading the way. However, it's still very much a work in progress and so the option to set yourself up with an additional option for free, makes sense to me.